The 17851 consists of one saddle bracket, one U-bolt, and two nuts. 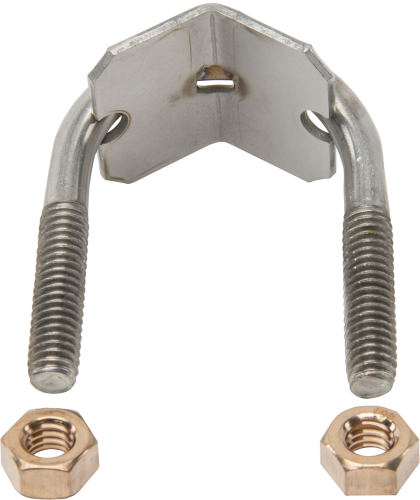 The U-bolt is designed to work with masts or poles that are 1.0 to 1.5 in. OD. The 17851 is shipped with the CM230 Adjustable Inclination Mount for attaching the CM230 to a mast or pole. It is available as a replacement item.